The battle of "Justice 5 Tournament" continues and Kai is clearly overwhelmed by the power of Brooklyn of the Bega Bladers. Attack after attack sees Kai barely hanging on as he fights to stay in the match. 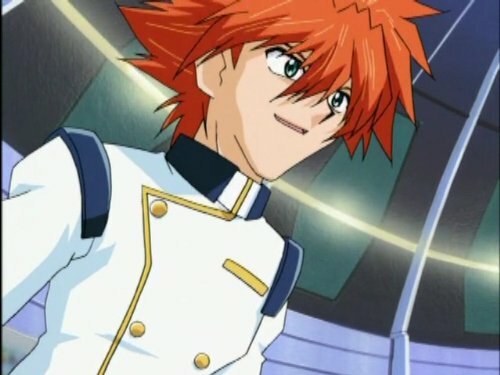 Tyson and his team mates nervously watch, but vow to stay out of the battle because of a promise that Tyson made to Kai. Pleased with the progress of the battle and confident that Brooklyn will win, Boris watches from the sidelines with delight. Kai's determination to win against these unbeatable odds begins to frustrate Brooklyn and he increases the intensity of his attacks. Suddenly, when it seems that Kai can't take any more he manages to draw upon his Beyblading spirit and defeat Brooklyn. The crowd goes wild at this dramatic upset and Kai leaves the stadium only to collapse into Tyson's arms, battered and bruised. Brooklyn remains in the stadium, stunned and confused after suffering the first defeat of his Beyblading career. Kai assures his concerned team mates that he's all right and tells Tyson that he should be more concerned with his upcoming battle against Garland. Tyson, as confident as ever, shrugs Kai's advice off but secretly hopes he can summon the same amazing strength that his old friend showed in his battle. Kai walks unsteadily out of the stadium alone, collapses again, and then watches as Dranzer disintegrates in front of him.